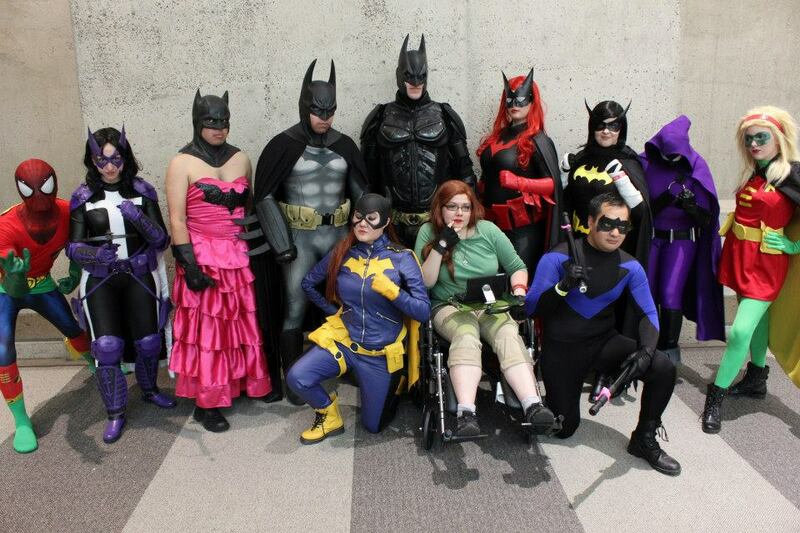 Why This Costume: My friends over at Gone Catawampus had the idea for a Gotham Girls group several months ago and asked me to participate. I hemmed and hawed over which character to make for a while since I’m not a big DC fan. 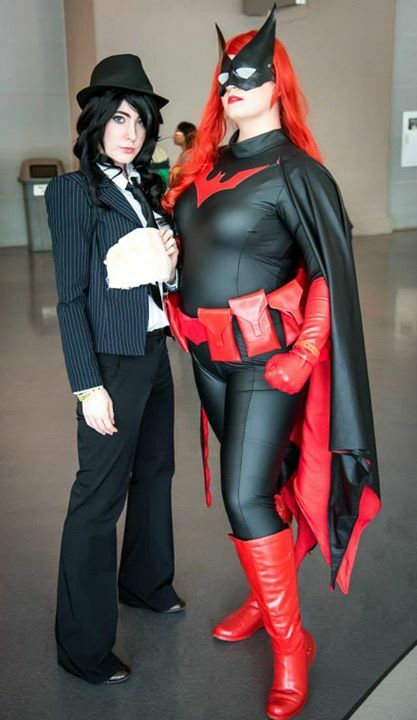 Originally, I planned to make Zatanna since I figured she’d be a quick, easy make, but after reading a couple of Batwoman trades at my library, I switched over to Kate Kane. I love her simple, yet powerful design and she’s such a badass lady! The Question is Kat from Puku Cosplay Productions. Photo by Scott Van. How I made it: This wasn’t a particularly challenging costume, but it did have a couple of unique elements. The bodysuit is pretty basic, so I focused more on the fabric and tailoring it to fit well. I used my go-to Kwik-Sew 3052 and added princess seams to the front and back of the pattern. I used a gorgeous stretch vinyl. 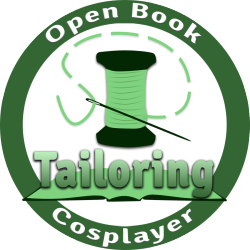 However, there’s not a lot of stretch to the fabric, so I had to size up and really pay attention to tailoring, especially at my bust and hips. I added the Bat logo out of red stretch pleather using my favorite applique tutorial. 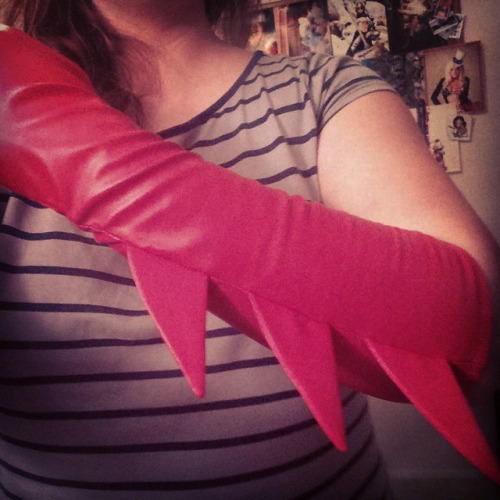 I had zero interest in even trying to make gloves this time around, so I ordered 2 pairs of red pleather gloves off of eBay that were a close enough match to my red pleather. I carefully seam ripped the outside seam of my base gloves and constructed the fins out of the 2nd pair of gloves. The fins are stuffed with craft foam to help them keep their shape. My utility belt was pretty fun to build. I made 8 functional pouches large enough to fit my phone and my other con floor necessities. They have belt loops sewn on the back and slide onto thick webbing with a parachute snap in the back (Side question: Would anyone be interested in a short tutorial on how I made the pouches?). I think I’ll add snaps to the belt itself along with the back of the pouches to keep them from sliding around. The buckle was made by Callula Cosplay out of Worbla and painted by me. The boots are my old Captain Marvel boots! I just cut off the buttons and painted them a few shades lighter to better match my red pleather. The bonus? Now they match my Captain Marvel better! Best running joke leading up to the con. 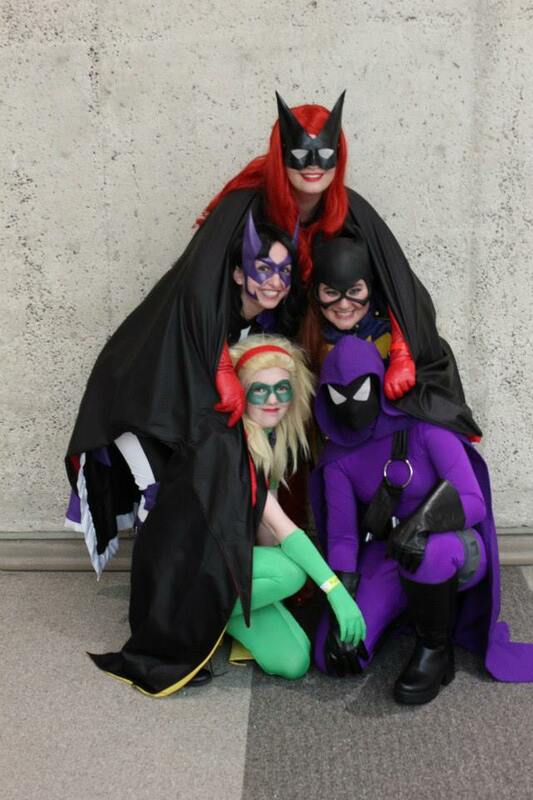 How many Bat-ladies can fit under my cape? Answer: 4. Photo by Kristin Bomba. My cape is definitely my favorite part of this costume. It’s by far the biggest cape I’ve made to date. To start, I used this general sketch from the RPF to help me figure out dimensions. In hindsight, I probably should have gone for smaller scallops, as the points near the top of my cape liked to fold over when I raised my cape up. I opted for a six-panel cape to cut down on the amount of fabric I needed to buy. 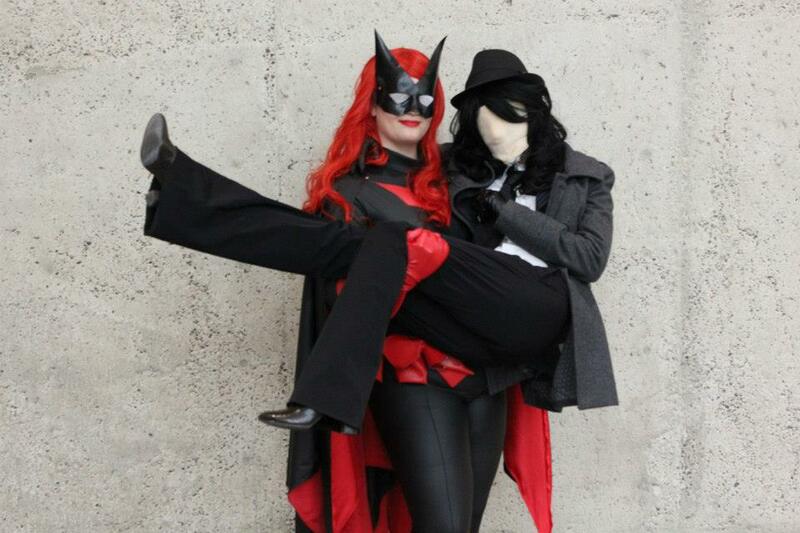 Probably my favorite Question/Batwoman photo EVER. Photo by Kristin Bomba. My mask is another creation from the very talented Kevin Dale. It fits beautifully! My wig is a gently used one I bought off of Etsy a while back. It’s okay, but I think I’ll order something from Epic Cosplay or Purple Plum next time I wear this character. 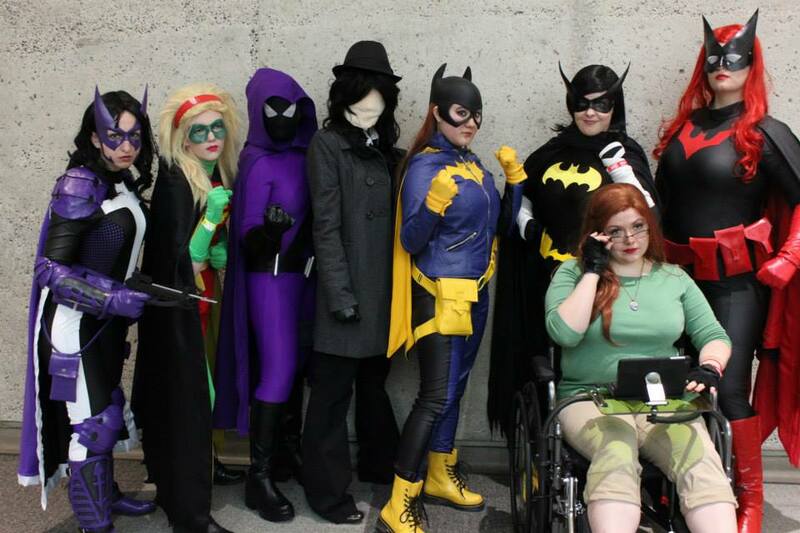 The ladies of Gotham! Photo by Kristin Bomba. Thoughts on this costume: I…. had some issues with this costume. Mainly with my choice of fabric. I mentioned above that the vinyl didn’t stretch well, which definitely affected fit on my body. 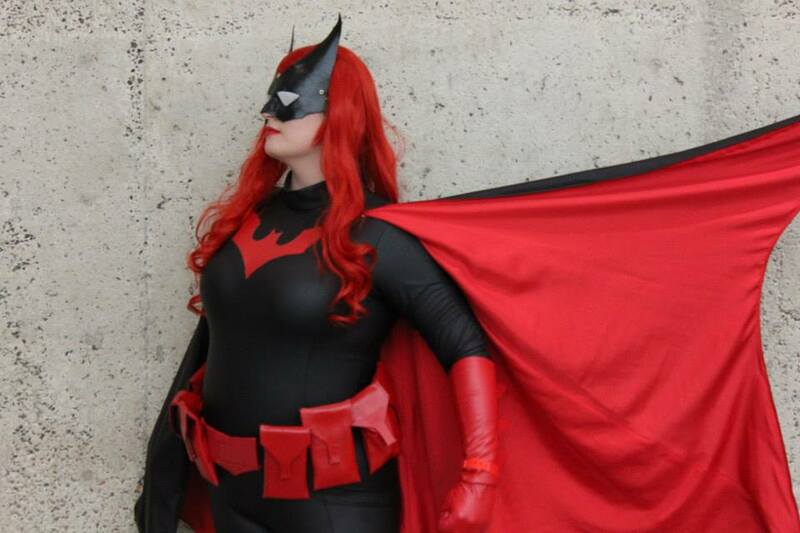 I was so irked that Yaya Han’s bodysuit pattern came out like 2 weeks after I finished Batwoman. It would have been perfect for this costume, especially those bust cups! I also had a major issue with overheating. While the vinyl was gorgeous, it did not breathe AT ALL and I left my cold packs at home since I figured the convention center was cool enough to keep that from being an issue. 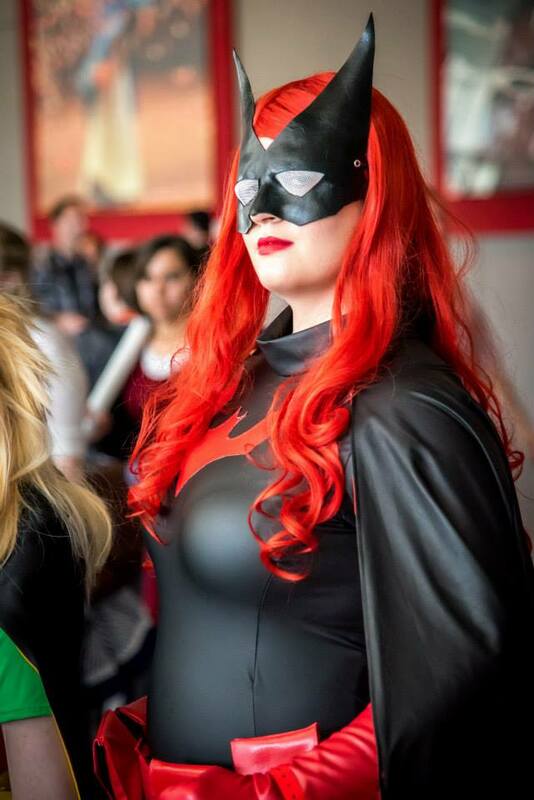 I probably won’t wear this costume again until late fall or winter, but when I do, I’ll likely remake the suit and add mesh paneling on the sides like I did with Callula Cosplay’s Huntress. That will go a long way to help with the heat problem. BAT-FAM! Photo by Kristin Bomba. Overall, this was a fun build! While not my first choice of costume, it was fun to run around with my friends as a group. Have you made a costume for a group that wasn’t your first choice? What did you think about the experience?